With a mix of whey protein, micellar casein, and egg white protein this is one delicious way to hit your daily protein requirements without the fuss of meal prep — it takes less than a minute to whip one up. 2. Consumption of beta-glucans from oats or barley as part of a meal contributes to the reduction of the blood glucose rise after that meal. The beneficial effect is obtained by consuming beta-glucans from oats or barley as part of the meal. When to enjoy Protein Mug Cake? 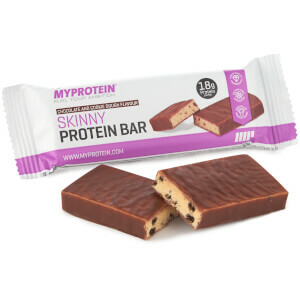 These are ideal for when you fancy something sweet after dinner, or need a treat after a hard training session. And, with five indulgent flavours to choose from there’s something for everyone, whether you’re into classic Chocolate or fruity Blueberry Cheesecake. What to enjoy Protein Mug Cake with? Go all out and make yourself a proper dessert with our Protein Ice Cream Mix, it’s easy to make and contains 34g of protein per serving — gains have never tasted so sweet. 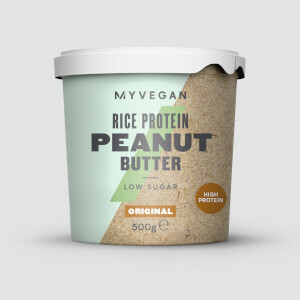 Salted Caramel Flavour: Whey Protein Concentrate (31%) (Whey Protein Concentrate [Milk], Emulsifier (Soy & Sunflower Lecithin)), Micellar Casein (21%) (Milk), Ultrafine Oat flour (31%), Baking Powder (Raising Agents [Diphosphates, Sodium Carbonates], Wheat Flour (fortified with Calcium, Iron, Niacin, Thiamin)), Egg White Powder (5%), Inulin Blend (5%) (Chicory Inulin, Glucose, Fructose, Sucrose), Salted Caramel Flavouring (Flavouring, Colour (Ammonia Caramel), Salt, Sweetener (Sucralose)). The nutritional information is based on the chocolate flavour version, when choosing an alternative flavor the nutritional values may vary. 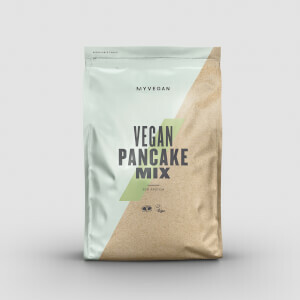 Flavoured protein based cake mix with whey protein, micellar casein, oat flour and inulin, with sugars and sweetener. I thought this was great! Super easy to make. Tastes pretty good for a protein mug cake. Like come on, it's not gonna be like a rich fatty covered in icing mud cake. Compared to others I've tried, I thought it was really tasty and fixed my craving for chocolate without the guilt. Takes likes 60 secs to make and multiple serves for doe the price. Would buy again! The taste stacks up well when compared with other supermarket mug cakes and obviously is much better nutritionally. Super quick to put together. Would absolutely use when leaning up as it is quite filling too. Definitely one to have in the cupboard to satisfy cravings. Bought the chocolate flavour and personally it's unbelievably good! The taste is sensational, it leaves you questioning how the macros are what they're. High protein, low fat and minimal carbs, if you struggle with cravings or have a sweet tooth i'd highly recommend this as im certainly hooked. 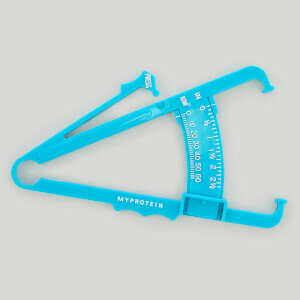 Great job on this one Myprotein! Tried this with milk and could not get through it, pretty bland and ended up a bit rubbery. Was looking forward to this so was pretty disappointed. Chocolate is such a lovely flavour and I am so glad I added this to my order, this is the perfect snack for after dinner! I love that it is sweetened with Steviol Glycosides (chocolate flavour only) which is a bonus for me! It is so easy to make and then also cooks within 50 seconds. I will definitely be buying more when I run out! By itself it is fantastic! Got this in chocolate flavour just for a test and turned out really good. Flavour is slightly bland but still really enjoyable. Just make sure the mug is big enough since it dose rise a bit.